This post is for the sister sitting at home contemplating making the change. She’s sitting in front of her computer looking for videos, blog posts and comments for encouragement to do something she’s been wanting to do for quite some time. “Why doesn’t she just start the process and see how she likes it?” says the avid reader of OohMyHair.com. “Do what makes you feel good girl!” they continue to shout at the computer as they’ve thought about a few people in their personal lives that seem to be going through the same thing. We know it’s hard to believe in a world where Rihanna, Amber Rose and India.Arie exist and thrive that there are still women afraid to make bold hair moves in 2013. Nobody on the staff can stand as a judge, because we’ve all been there. To the sister that’s searching the web high and low trying to find a way to make that first step, we say, bust a move! There are so many resources and far more sophisticated products available now. Consider those of us on staff that started this journey when the only people who were available to help were people who smelled funny and made up words like the inmate character that Daman Wayans played on In Living Color. A few posts back we talked about some of the bad advice that was, and still is, floating around the once small community. There were times that some of us had so much product doused all over our heads that had there been an open flame nearby a situation would’ve arisen. We say that to let you know that even though this journey has had some not so fun times, the joy that you find in learning to deal with exactly what you’ve been given and love it is indescribable. Push past that wall of vanity. We still deal with perception and confidence issues in the back of our minds, especially in the “Corporate world”. However, the moment you realize that the styling that needs to take place is not on top of your head but inside it, you’ll find that the most important factor in this decision is your own personal happiness. In later posts we will discuss some of the health risk factors that may aid you in deciding to take the leap towards natural hair, but today it’s all about you feeling sure and knowing that there is nothing abnormal about taking your time. We wish you luck, but even more we ask you to stop by every now and then and pick up a few tips and funny stories even if you decide that natural isn’t for you. As always, please ask questions when it stops making sense. Enjoy! With Imagination and a Hair Bag…. 2. Absolutely Shea- A tub of some whipped shea butter will help you get through the dry times (We don’t mind killing this issue, it’s important). 3. Denman Brush- An orange rubber based plastic tipped brush is great for removing dust and debris from your hair between cleansing. Start from the ends and work in small sections, brush in the same manner that you de-tangle and once you’ve cleared a section all the way to the scalp twist or braid it down. 4. Wide-toothed Comb- Even if you have a larger curl pattern, on your deep conditioning days, you will use this to avoid snapping any hair. The sound of the comb popping against your hair is an indication that something wrong is taking place. There’s nothing worse than trying to get through a head of hair with the wrong size comb for general hair care (Think about the scene in The Color Purple with the little girl hollering at the table getting her hair combed). 5. Side Combs- Keep a few side combs in your arsenal. You never know when you may be in the mood to rock a mean 1988 Vanessa from the Cosby Show Fro without taking a trip to the barber shop. 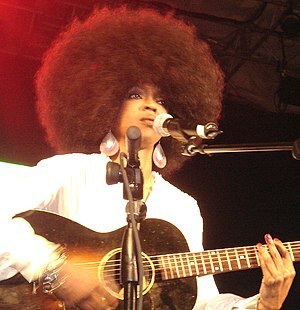 Ladies that are able to achieve this type of afro can mold it into lots of fun shapes to create some unique and beautiful styles without much skill. If your curl is a bit more loose you can still use the side combs and let your hair take a life of its own with some fresh pin-ups. 6. Bobby-Pins – Because sometimes is takes more than a side comb to get the job done! Also, if you don’t want the ornamental element in your style, the bobby-pin can do the job without being seen. 7. Your absolute favorite leave-in conditioner. We completely love Jane Carter and Taliah Waajid, either line provides great moisture and lovely light scents that don’t kill your perfume’s vibe. Whatever your product of choice try to be sure there’s no alcohol in it and get your Soul Glo on when your hair needs that extra boost of moisture. It’s also nice after a good cleansing. Sometimes it’s nice to add moisture without dealing with so much oil. Of course these are just the basics, I know one staff member that has a bathroom closet full of just about everyone’s product line. This list should get you through most Hair-mergencies and Tress-gressions between salon visits. Cleanliness, Moisture and Style…don’t leave home without them. As always, ask questions when it stops making sense. Enjoy! What’s in your bag? Share some of your go to hair bag essentials, we’d like to hear from you! The first week after the big chop! Why doesn’t it look like an Afro? Why isn’t it even, even though I keep chipping away at the stray pieces? I love the curl when it’s wet, how can I keep that when it’s dry? This is the week of discovery. Freshly cut ends on any texture of hair need some time to settle. Increase your water intake, grab some Biotin and be patient. If you have the curl pattern that will produce a stunning Afro as pictured, this is where you pay your dues. Try not to clip at the stray hairs, until your curl pattern starts to really reveal itself, which will probably be this time next week.Then it’s time to select an approach. The nightly care for hair that’s long enough to twist or braid includes moisturizing the hair and sectioning it off into braids to retain the moisture, the more you chip away, the more difficult that process becomes. If you’re not comfortable roughing it out, this may be a good time to get a braid style. Be mindful of the tension put on your hair. Some braid stylists, even now that natural is popular, put additional stress on the hair because it may appear to be difficult to manage. A professional will be sure to analyze your hair prior to attempting a style to be sure it is executed in a manner that does not compromise your hair health. This is the time to observe your hair, your curl pattern is not ready to be diagnosed yet. I suggest holding off on purchasing an abundance of products until you see what you can come up with as naturally as possible. A whipped Shea butter product from a trusted Shea Processor will provide light-weight moisture which allows your hair to breathe and come into its own. Hopefully this puts some of the first week jitters at ease. Leave comments and feel free to send questions. I’m here to help.